Working and learning while enjoying it! 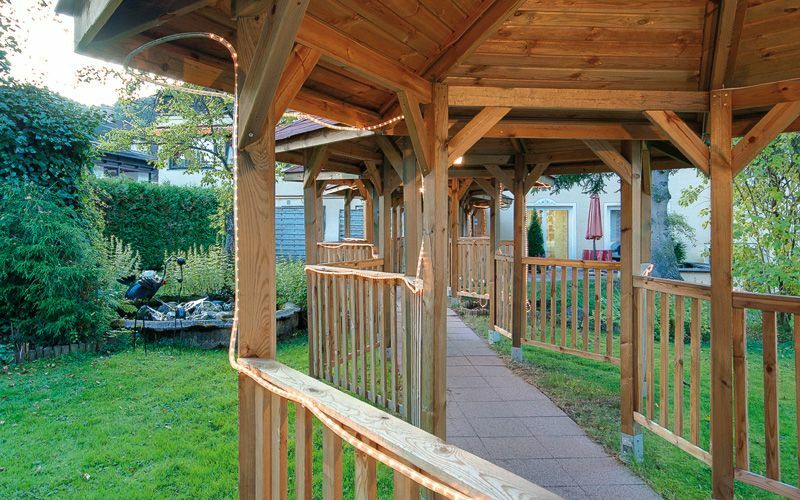 Our Hotel Alpensonne is located at the idyllic Tegernsee and is just perfect for a relaxing holiday. But the Hotel is also the best place for seminars, workshops and conferences. The amazing landscape, the fresh air and the unique surroundings turn learning and working into something easy and enjoyable. 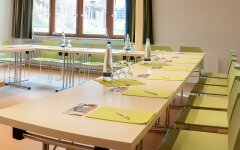 The Hotel Alpensonne has the best rooms and facilities for your conferences and seminars. Enjoy a very unique and relaxing atmosphere while doing your duty. 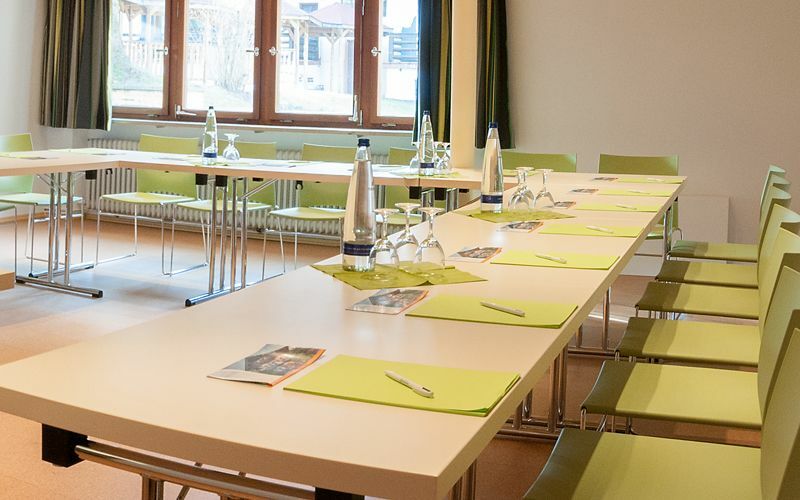 Inform yourself now about our conference Hotel in Bad Wiessee and plan your next event at the Tegernsee! We are very proud to be able to show you three brand new conference rooms, which are already waiting for you. Seats for up to 30 persons are manageable. Of course the rooms own an up-to-date conference-technique. The conference room can satisfy you with daylight and a patio, which is perfect for making some short breaks and catching some fresh air to get power. The greatest conference room has the perfect size for up to 30 persons. 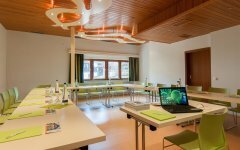 Discover a modern technique for your conferences and a very light and friendly atmosphere in that room. Get to know what working in a relaxed way means! Our boardroom has also a very light and friendly atmosphere. Here you can experience a very lovely room, which is perfect for small groupes and will turn working into pleasure! 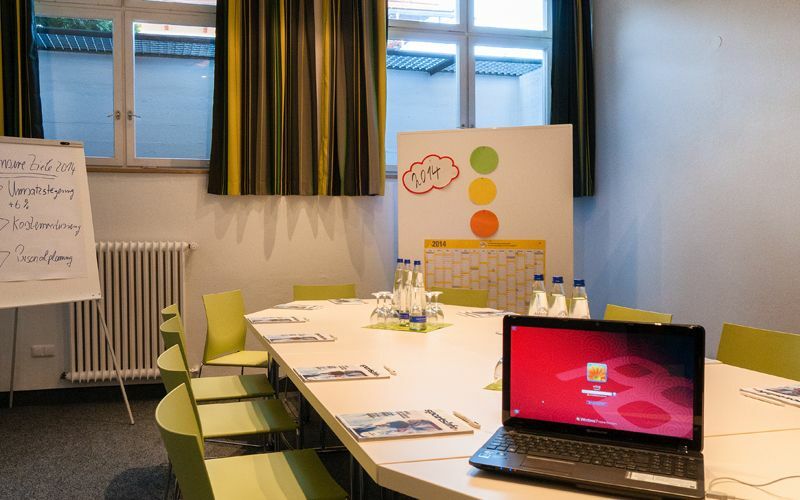 The small seminar-room is just perfect for small groups with up to 10 persons. If you want to work in a very relaxing way, this room is the ideal choice for you. Get to know your creativity! Having a conference outside? You can also enjoy this at the Hotel Alpensonne! 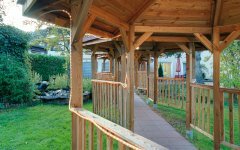 If the weather is warm and sunny, you can performe your conference outside in the garden or on the patio. We will help you with all your arrangements as well as words and deeds. The preparations are ours! Contact us and let us know your wishes! Our seminar-hotel at the Tegernsee can’t wait to help you! Conference-adventure Tegernsee - don’t give deadly dullness a chance! We will do all to make you a very special and unforgettable stay at our house! Comfortable and stylish rooms, a unique and large breakfast, our spa and wellness-area, our swimming pool, sauna and room for gymnastics will make your stay enjoyable and incomparable! After a long and hectic day, you can relax yourself at our wellness area and treat yourself with special beauty and wellness-treatments. Or just have a drink at the alpine-bar, where you can discover local delicacies. Surprise your clients, employees and colleagues with something unique and special, and connect your next seminar with fresh air and vivid outdoor-activities. The Tegernsee and the Bavarian Alpes will offer you many possibilities throughout the whole year. Strengthen your team spirit, colleagueship and customer loyalty. We can offer you boat trips, walking-tours or a special balloon flight, to discover the unique nature here. Find out more about our unqiue customs and tradition around the Tegernse and enjoy special forest-feasts. One possibility is the lake-festival in Rottach-Egern and many other events around the Tegernsee during the summer.